14 colourful, contemporary yarn hooking projects, complete with diagrams, yarn colour charts and full-size templates. Contemporary designs inspired by traditional rug hooking techniques for purses, pillows, pictures and gifts, as well as a traditional rug. 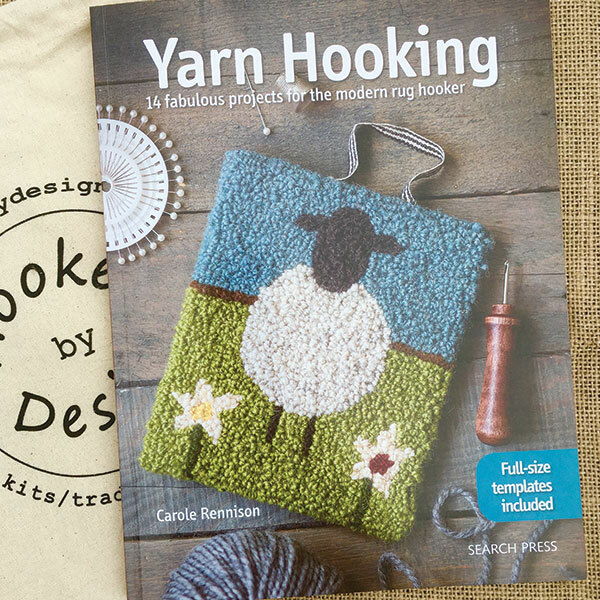 Inspired by folk art and primitive art, I hope the book shows how easy yarn hooking is.